Happy Valley Athletic Association (HVAA) has announced a partnership with Alisports to promote the upcoming World Electronic Sports Games (WESG) tournament. HVAA is a football club that plays in the Hong Kong First Division, the second-highest football division in the Hong Kong football league. The WESG brand will appear on the HVAA’s soccer team jersey as the main sponsor. The new jersey will no doubt be on display for their next match this Sunday as they take on South China Athletic Association, the most successful club since the division’s foundation in 1908. The sponsorship is set to continue through the rest of the season. With the announcement, HVAA confirmed that the WESG Hong Kong qualifier will be held during the 2018 Alisports WESG Hong Kong Festival which takes place from November 9th to 11th at the AsiaWorld Expo. 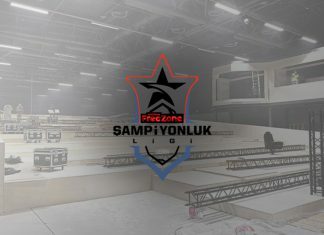 Five games will be played during the tournament: Hearthstone, DOTA 2, Starcraft II, Counter-Strike: Global Offensive and Pro Evolution Soccer 2019. Hearthstone will also feature a Women’s tournament. HUYA announced the exclusive streaming rights to WESG in China last August. It’s unclear whether the partnership extends into Hong Kong as it is an autonomous territory that has a tenuous relationship with mainland China. The winner of the Hong Kong qualifier will receive a spot for the WESG Finals in Chongqing, China in March 2019. Alisports began the WESG in 2016 and is the spiritual successor to the World Cyber Games. With the inclusion of esports at the 2018 Asian Games as a demonstration sport, Alisports partnered with the Olympic Council of Asia (OCA) to help with the 2022 Asian Games in Hangzhou as well. If WESG proves successful, it could provide the model for how the Asian Games and the Olympics host esports in the future. Esports Insider says: The partnership is a minor one, with the club being marred in match-fixing allegations and clawing their way back into the First Division this season. However, it is important to see WESG and Alisports participating in pushing their events outside of their finals next year. A concerted effort to promote all levels of the tournament will help bolster the ecosystem in the local and regional area and help sustain the community.